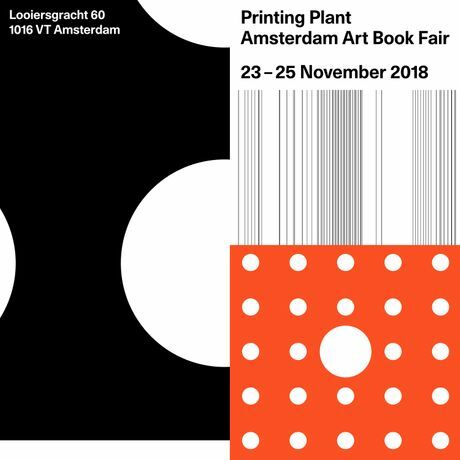 During Amsterdam Art Weekend, 23-25 November 2018, Looiersgracht 60 is organising an intimate 3-day art-book fair for like-minded, independent publishers. Artistic print culture has a rich narrative in Amsterdam’s history, one that is often overlooked. As there is currently no book fair focusing on art books in Amsterdam, we would like to take this opportunity to offer a new platform for the progressive publications that artists and publishing houses are producing to be enjoyed by the wider public. Publishing has assumed an increasingly central position within artistic practices. Yet it has become more difficult to produce, distribute and present special art books in recent years - often due to a lack of funding. Many of the beautiful titles that have been published are only on view in the shops of a few motivated and specialist booksellers, museum bookshops and galleries. Printing Plant will present a remarkable selection of artist editions, multiples, art catalogues, books, monographs, periodicals and zines that are generally unavailable in bookstores. Filling 750 square meters of exhibition space, the fair will invite visitors to learn more about the world of independent art book publishing from the artists and makers who will be showcasing their works throughout the weekend. We are now accepting applications for proposals. If you would like to participate, please fill out the provided application form. The final selection will be made by the end of July. All applicants will be notified by July 30. For further information please email valeria@looiersgracht60.org.